CV Panels and Allied Parts have joined forces to create a major new trade parts distributor for Central Scotland. Here’s a taste of what we offer to garages and bodyshops from Dumfries to Dundee. Covering most makes and models, our dedicated parts department carries over 18,000 product lines at any time. 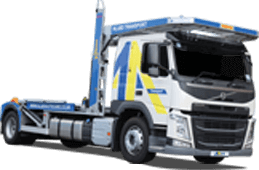 We supply both trade and private customers and we offer a huge range of genuine and after-market parts. From the more common parts such as brake pads, wipers and headlight bulbs through to the under-the-bonnet essentials such as batteries, spark plugs and engine oil, we have a range of genuine and aftermarket parts to suit all budgets. 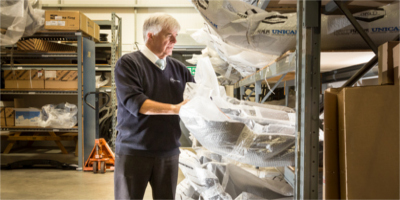 We even stock new body panels, offering a one stop shop for all your mechanical and accident-repair needs. Authorised distributor for genuine Fiat parts. Most Fiat body parts and headlamps in stock. Authorised distributor for genuine Peugeot parts. Huge stock for immediate delivery. Everything you need for one of the world’s most evocative automotive brands. Great value aftermarket wings, bonnets, tailgates, cooling systems, lamps, bumpers and more for all makes and models. 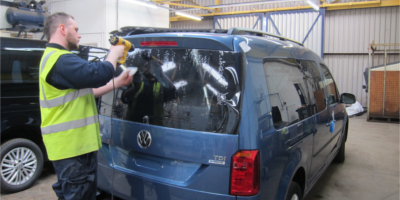 We supply window tints for more than 2,000 vehicles every year. Suitable for all types of car or van. 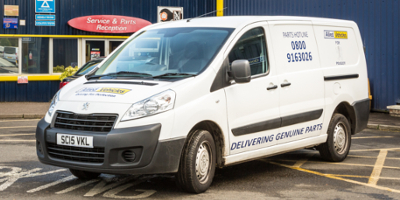 Our experienced van drivers are out daily throughout Central Scotland, ensuring your order gets there when you need it. 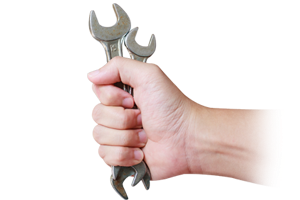 Our trained parts staff are happy to assist with any parts, warranty or technical questions you may have.